Is there no need? What can you do with signage? – In the first place, why did you decide to install digital signage (hereinafter signage)? Sekine (Kogakuin University): As part of redevelopment at Shinjuku West Exit, renovation of “Shinjuku Sub-central Tokyo 4 street underpass” directly connected to the Shinjuku campus was performed, and signage to the space adjacent to the underground entrance according to the timing We decided to set up. Previously it was just a concrete wall and I knew there was a university here, but I had no idea what kind of university it was. I knew that the traffic volume was large anyway, so I thought that not only candidates for examination, but also various people to provide the opportunity to learn about our university and to disseminate information leading to the branding of the school. – What specific ideas did you have about the content? Sano (Kogakuin University): Even in the underpass of Shinjuku, the regulations concerning posted items are strict in the vicinity of our university, what we can do in the constraints, how to operate is totally fumbling. Even though there was an idea, I did not even realize how to realize it, and as a partner I can think together from a place without a purpose or need a voice to Loftwork. Hamada (Loftwork): It is our first challenge to produce 50-inch 3-screen signage for the general public, and I wanted to join this interesting attempt. – In promoting the proposal, it seems that you started with field search. Aoki (Loftwork): As long as you do not see the scene, you can not see what to make for who. Therefore, we conducted a field survey on what kind of people are walking and how the flow of people changes in the morning and night, at the sites where digital signage is planned to be installed. As a result of the survey, it turned out that the time for a passerby to confirm the signage was as short as about 3 seconds. Also, in the morning, most people heading to Tokyo Metropolitan Government are traveling abundantly and the speed of walking is fast, but at night, the proportion of people heading toward Shinjuku Station towards the end of the work increases, the traffic volume also gets sparsely I found that many people are walking slowly. – I think that the most visible thing in KU – SITE is an installation that times a time, but from the survey results, how did you come up with the idea of ​​”watch”? Hamada: Actually, there are no people who have needs for signage among the people walking on the underpass. Moreover, when it becomes difficult to see with a pillar, it becomes difficult to tell information firmly with letters. Besides, everything such as sensing and reacting with a camera, producing sound, streaming moving pictures was all regulated. So, what should we see as being on the roadside? The idea that I thought from the point of view is a habit of being connected with life, it is a mechanism that can become a switching place of ON (morning) and OFF (night). That was a clock. Most people come and go in the morning and night twice, so if you check the time with the company’s hurried legs, you will be in work mode and when you look at the clock again on your way you think of a menu for dinner. – As I repeat it everyday, it works smoothly for branding. Aoki: I hope so. I focused on watches as it is a part of people’s daily lives. I noticed that existence at a moment in time and eventually the signage itself became a part of everyday life and I hope to gradually worry about the information of Kogakuin University. – Many restrictions on color and movement, were the adjustment difficult? It seems that the movement of the second hand of the clock was also ineffective with blinking. 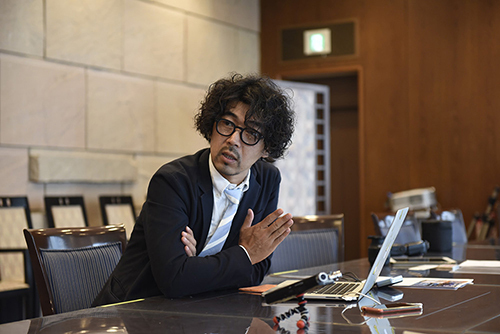 Aoki: We cleared by regulation of design against regulation. Because I did not know how far it was allowed, in Shinjuku-ku we had meetings while looking at mockups created in the sample. The second hand of the clock is not blinking, I design a movement like an installation where the bar slowly grows every second. Under constraints such as regulation and signage being able to confirm only a few seconds, how to make it feel interesting, information to be transmitted as a university was repeated, trial and error was repeated with the designer and it did. 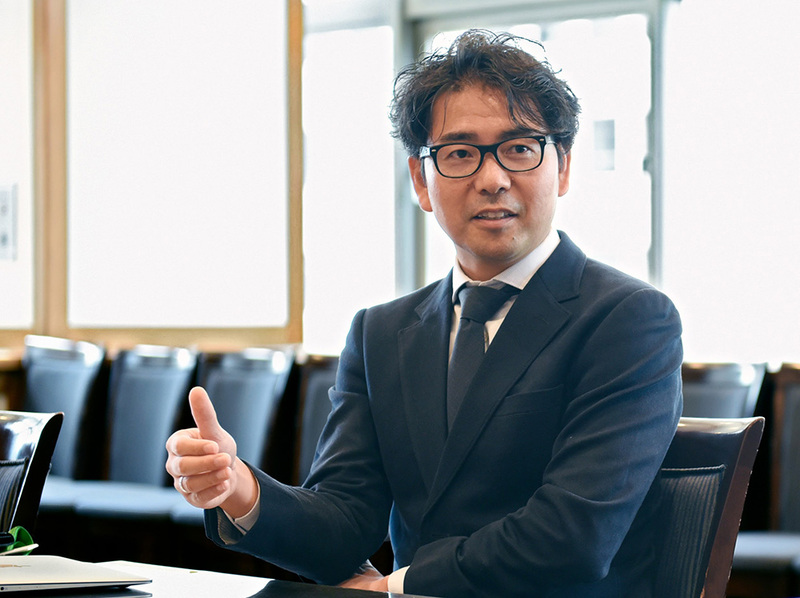 Sekine: I thought that I had a hard time as I thought about design, because I proceeded with regulatory investigation and confirmation in parallel. Actually, Aoki sometimes withdrew from Shinjuku-ku with coordination, such as it turned out that there was no big restriction on the contents to be displayed under certain conditions. – I just started to operate it since July, but would you like to challenge in the future? 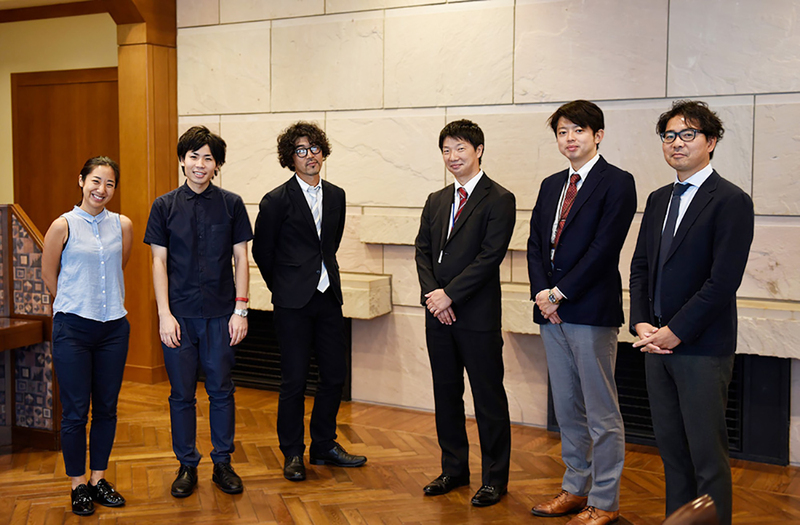 Sekine: As a school whose mission is to send engineers and researchers to the world, I would like to exhibit works that can show student’s growth for 4 years in the exhibition area. In the signage area, you can recall what you can make with the technology students have learned in a contest format and decorate excellent works. If you recruit works inside the university, the existence of KU – SITE is likely to lead to motivation of students. 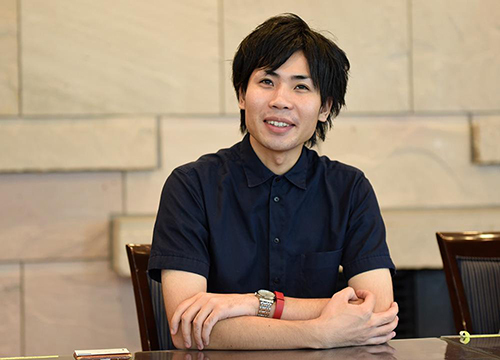 Sano: Since many foreigners pass underpasses, it might be interesting if you can connect to the awareness of “What is this here?” Coming from a location unknown to university, “I do this!” not. Hamada: Since we made the launch as simple as possible, we will proceed with the way we look at what we have seen, while verifying the effect. – In the meantime, it seems that the phase of exploring the possibilities of KU – SITE will continue. I’m looking forward to seeing it after half a year.